Win or lose the kiwi’s never fails to impress us. The world cup runner-ups playing exceptionally good cricket in recent past days. When they step into the WC 2015 finals against Australia every cricket playing nations support the Blackcaps because they shows that much sprit in that tournament. Even though they lose the crown they didn’t miss to grab the hearts of cricket fans. New Zealand now compete against England in their soil. After losing the first ODI with the huge margin, they bounce back and win 2nd and 3rd ODI’s. I come across an image that describes like this, ‘In the first ODI New Zealand burn like candle light and the 2nd ODI they blast like volcano’. That’s the true words that show the fighting sprit of the Kiwi’s. Brendon McCullum enjoys his time as captain. Kane Williamson and Ross Taylor in the middle play like game changers. No matter who the opponents are they play with their full potential. Bowling fielding without the doubt they are champions. New Zealand have massive fan base in India. They always show their love towards them. 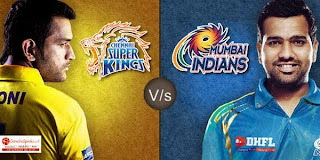 Playing in Indian Premier League is one of the reasons for that kind of support from Indian fans. Brendon McCullum (Chennai Super Kings), Corey Anderson, Mitchell McCleneghan (Mumbai Indians), Tim Southee (Rajasthan Royals), Trent Boult, Kane willamson (Sun Risers Hyderabad) playing huge part in their teams. New Zealand chases down 302 in their 3rd ODI against the England. This will be highest chase for New Zealand outside New Zealand. Ross Taylor. One of the greatest batsman for New Zealand in this decade hit his 14th century, He just one century away to become highest century hitter for the Blackcaps. Best of luck to New Zealand for rest of the series. Let us support them as we usually do.